On Thursday evening last, Mary Hennigh, at the tender age of 92, went peacefully to sleep and shuffled off this mortal coil into the arms of God. Born Mary Brennan she was the last surviving of six siblings of Frank and Mary (Geiger) Brennan. Married to Charles Hennigh Mary, is survived by four children. Cary Hennigh and his wife Mary of Reading, PA. Charles Hennigh and his wife Marci of Shalotte, N.C. Maryann (Hennigh) wife of the late Michael Heffelfinger of Alpharetta GA. and Patrice (Hennigh) wife of William Ring of Bethlehem PA, seven grandchildren, six great grandchildren and her dear friend and companion Daniel Herman of Allentown PA. Mary was preceded in death by her husband Charles, two sons, John and Eric, and a grandson Charles. Mary loved dancing, plays, her Irish heritage, sewing and volunteering at her church. A calling time will be held Wednesday, August 1st 9-10AM with Mass of Christian Burial to follow at 10AM in St Francis of Assisi Catholic Church 1046 W Cedar St Allentown, PA 18102. Burial to follow in Resurrection Cemetery. Arrangements entrusted to Downing Funeral Home Inc. In lieu of flowers contributions can be made to the 2nd Harvest food bank. William J. Hutter, 73, of Catasauqua, passed away January 11, 2017, peacefully in his home surrounded by loving family and friends. Bill was married to Linda A. (DeLong) Hutter for 32 years. Born in Allentown, he was the son of the late William J. Hutter Sr. and the late Elsie (Raubenhold) Seagreaves. Bill graduated from Southern Lehigh High School in 1961 and attended Penn State University. He retired from Bethlehem Steel after over 30 years of service and then worked for Vastex International. Bill was an avid Penn State football fan. He was a member of the National SOKOLS, the Heights AA and the Northend Wanderers Athletic Assoc. Survivors: Wife- Linda Hutter; Daughters- Lisa Panarelli and husband Anthony Saby, Nikki McMonagle and husband Patrick, Michelle Davis and husband Tom; 6 Grandchildren. A calling time will be held on Saturday, January 21st 10-11AM with a Celebration of Bill's Life to follow at 11AM at Downing Funeral Home, Inc. 1002 W. Broad St. Bethlehem, PA 18018. In lieu of flowers, contributions can be made to Lehigh Valley Hospice care of the funeral home. Beulah E. (Schlegel) Reilly- Haley, 95, of Bethlehem, passed away peacefully Oct 3, 2016. She was born in Pen Argyl, PA in 1921. She was the loving wife of the late John Reilly and then the late Nathaniel Archibald Haley. Beulah was an active member of St. Stephens Lutheran Church in Bethlehem, worked previously for Hess’s Dept. Store and volunteered at a shelter for abused women in Allentown. Her hobbies included Bingo, crossword puzzles and reading. Son- Robert J. Reilly; Grandchildren- Michelle Hoysan, Cindy Costa and Matthew Viebrock; 5 Great Grandchildren; 4 Great Great Grandchildren. She was predeceased by her sons- John and Thomas Reilly. A calling time will be held Thursday 6-7PM with a Memorial Service at 7PM in Downing Funeral Home, Inc. 1002 W. Broad St. Bethlehem, PA 18018. In lieu of flowers, donations can be made in her memory to St. Stephen’s Lutheran Church 67 W Washington Ave. Bethlehem. Helen Marie Hann, 94, of Bethlehem Township passed away February 24, 2016. She was the loving wife of the late Clayton A. Hann. Born in Bethlehem, she was the daughter of the late Stephen and Rose (Dancs) Nyakas. Helen will be well remembered for her gregarious and generous spirit. Son- Clayton S. Hann and wife Barbara of Dunedin, FL; Grandchildren- Clayton S Hann, MD and wife Lindsay, Melanie Hann, and David Ortwein. She was predeceased by her daughter- Kathleen Grube. Services will be Private in the care of Downing Funeral Home, Inc.
Dylan Huy Hoang, 5, of Allentown, passed away January 12, 2016. Born in Bethlehem, he was the son of Trung Hoang and Kim Nguyen. Dylan attended Kindergarten at Our Lady Help of Christians School. He was a good son, a very bright student, kind, friendly, and always liked to share and play with others. A viewing will be held on Friday, Jan 15, 5-8PM in Downing Funeral Home, Inc. 1002 W. Broad St. Bethlehem 18018. A viewing will be held Saturday, Jan 16, 9-10:30AM in Saints Simon and Jude Catholic Church 730 W. Broad St. Bethlehem 18018 with Mass of Christian Burial to be celebrated at 10:30AM by Rev. Abraham Ha and concelebrated by Rev. Dominic Pham and Rev. John Pendzick. Burial to follow in Holy Saviour Cemetery, Bethlehem. Please no flowers, contributions can be made to Our Lady Help of Christians School c/o the funeral home. George W. Hoffert, Jr., 86, of Bethlehem, passed away September 5, 2015. He was the husband of 62 years to Dolores E. (Jones) Hoffert. Born in Bethlehem, he was the son of the late Katie (Oberly) and George W. Hoffert, Sr. George retired from Bethlehem Steel after 36 years of service and also worked part time for Lawns by George. Survivors: Wife- Dolores Hoffert; Children- Debra Patton and husband Ron of Bethlehem, Randy Hoffert of Bethlehem, Kathy Walker and husband George of Schuylkill County, Krisann Szvetecz and husband Phillip of Bethlehem; Grandchildren- Michael and Matthew Patton, Jordan Hoffert, Skylar and Hailey Szvetecz; Great Granddaughter- Ryleigh Patton; Furry Companions- Sade, Kenzi, and Roxie; Brother- James Hoffert and wife Jean of Bath. He was predeceased by 6 siblings. Services: Services will be Private care of Downing Funeral Home, Inc. Contributions: Contributions can be made in George's memory to any charity of your choice. 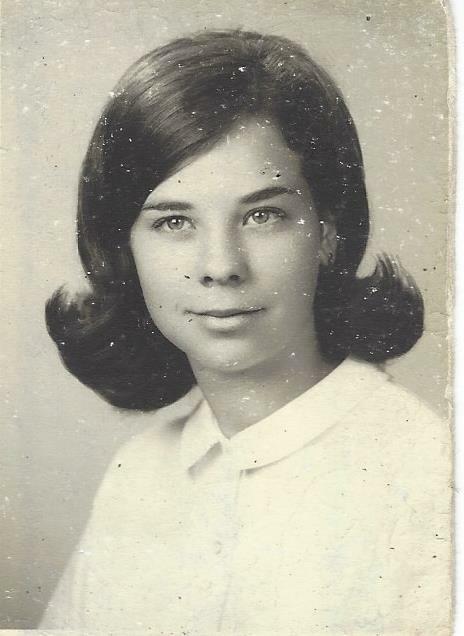 Kathleen M. Hartigan "Kathy" of Bethlehem, Pa, passed away on Wednesday, July 1, 2015. Born January 30, 1938 in Hellertown, Pa., the daughter of the late John and Tressie Dugan, sister of Georgine Matey (deceased) and Mary Jane Figuli. She is survived by her husband of 8 years, Thomas Hartigan; her daughters: Jill (Joseph Krystofinski), grandchildren Paige and Michael; Joan (Jeffrey Vasko), grandchild Katlyn; and Kathy (Barry Daugherty) and grandchild Dillon. She is also survived by her husband's sons: Thomas (Maryann) Hartigan, their children, Katie, Maggie and Tori; Craig (Kevin) Hartigan, their children, Erin and Cara; Sean (Holly) Hartigan and their child, Morgan. Kathy attended the University of Pennsylvania School of Nursing through 1958, she continued her education at and graduated from the School of Nursing at St. Luke's Hospital in 1974. Over the years her career pursuits allowed her to work as a registered nurse, nurse supervisor, nurse manager and critical care nurse. Kathy worked at St. Luke's in Bethlehem, Southwest Florida Regional and Cape Coral Hospital, in Florida. While in Florida Kathy had the opportunity to meet Gunnars Sturans, an artist in Cape Coral Florida, as a result of this meeting she was able to fulfill her lifelong dream of drawing and painting. With birds and wildlife as her predominate subjects she started with watercolors and progressed to acrylics. She sold her paintings in the Florida Keys and Pennsylvania. Kathy assisted her daughter Jill with the painting of a mural at Lehigh Valley Health Network at Cedar Crest. When she retired from nursing she moved to the Florida Keys, where she was active in local politics, served on the Layton City Council; was a member of the Layton Red Hat Society and the Purple Isle Art Guild. Kathy was an avid reader and served as a library volunteer in everywhere she lived: from Limeport, Pa, to Islamorada Fl, to Amarillo, Tx and Bethlehem Pa. She enjoyed traveling throughout her life, but most of all with her husband Tom, who took her to every corner of the earth. Services are scheduled from from 8 a.m. to 10 a.m., Wednesday, July 8th at Downing Funeral Home, 1002 West Broad Street, Bethlehem, Pa.; followed by Mass at St. Simon and Jude Catholic Church, 730 West Broad Street, Bethlehem, Pa and burial at Holy Savior Cemetery, 2575 Linden Street, Bethlehem, Pa.